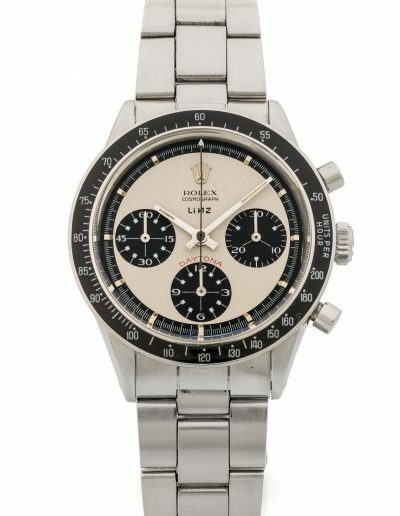 We present you with the highlights from the Geneva “Important Modern & Vintage Timepieces” November 2017 auction. Over the course of two sessions, 598 timepieces were offered for a total of CHF 8,002,283. To browse the sales, click here. 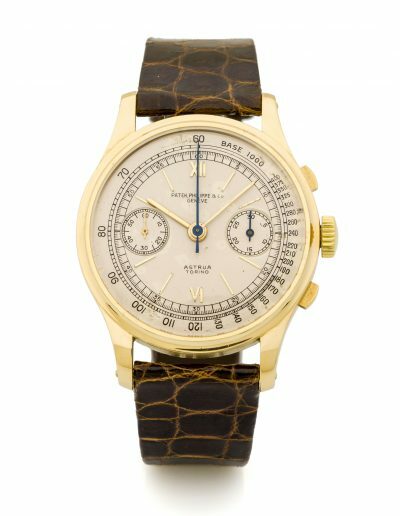 PATEK PHILIPPE, REF. 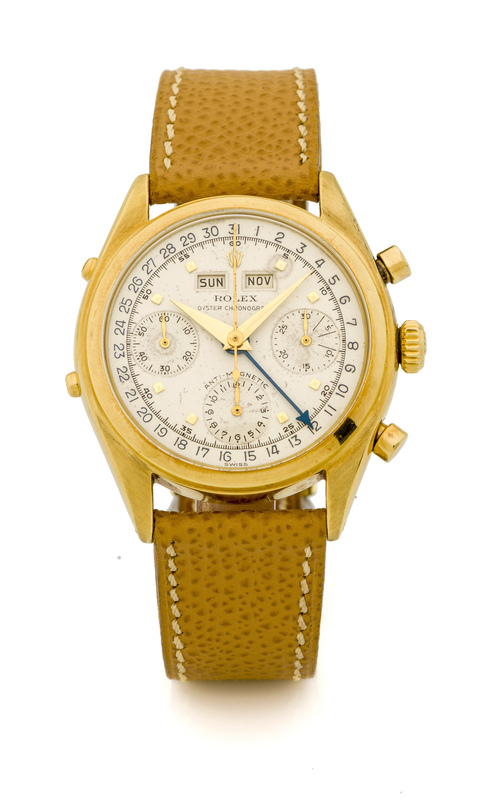 530, RETAILED BY ASTRUA, YELLOW GOLD A very fine and extremely rare, oversize, manual wind 18k yellow gold chronograph wristwatch. Known as one of the most elusive chronographs, the reference 530 has always attracted collectors due to its impressive presence of 36.5 mm. Launched in 1937, this example is one of the first manufactured as it was manufactured in 1938. Inherited over 30 years ago by a Swiss family, it has been kept since that time unused in the safe. Its excellent condition is reflected by the two crisp hallmarks on the side of the case and its thick and imposing lugs. 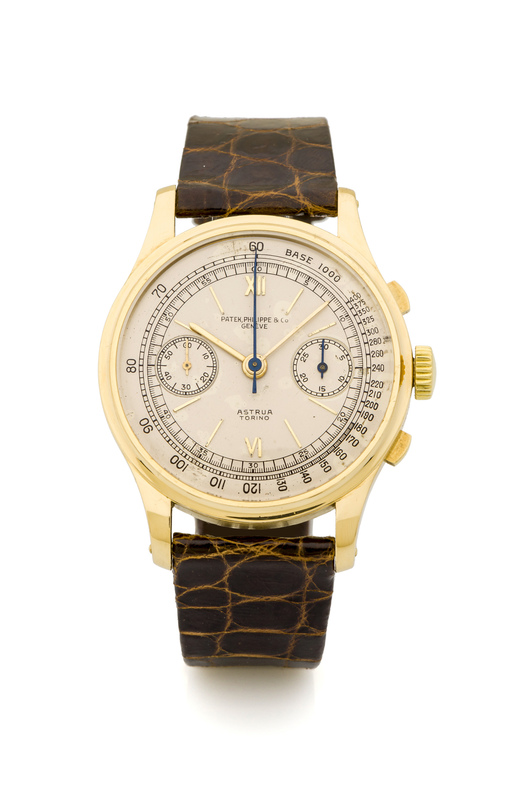 With its movement number indicating one of the earliest serials known in the 530 family and retailed by Astrua and never offered on the auction market, a perfect combination for the Patek Philippe collector. 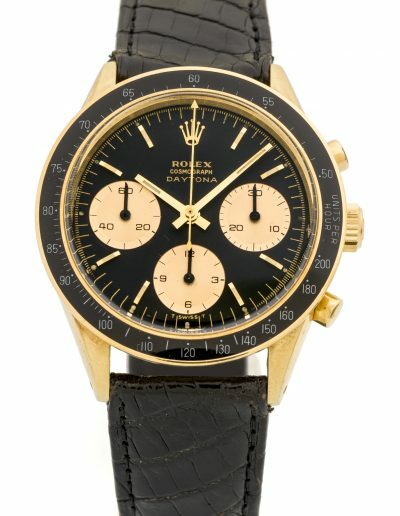 Never offered at auction before, this is probably the rarest Paul Newman version with an exclusive retailer-signed dial. Linz Brothers, a jewelry firm, grew from the efforts of five brothers. Joseph and Elias Linz of St. Louis opened the firm of Joseph Linz and Brother in Denison in October 1877. Rolex Watch USA ventured into the Texas market in 1945. The Geneva-based corporation originally sold its watches throught jewelers like LINZ brothers in Dallas. In 1950 Linz sold more Rolexes than any other dealer in North America (fonts: The Texas Timex). Made for only one year, the reference 6264 featured the newly improved caliber 727 and a black bezel. 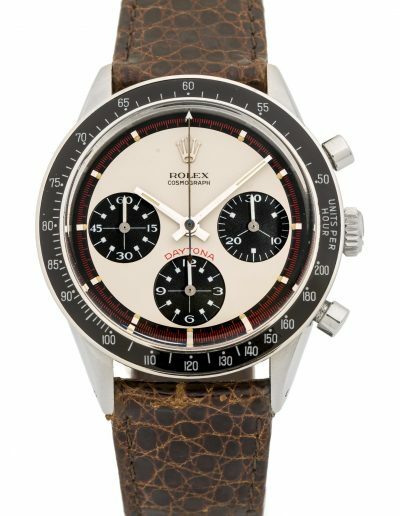 Kept in great condition with a nice case, a near mint Paul Newman dial featuring all luminous dots and its original Rolex Ref. 7835 folded bracelet dated 1971, it is without a doubt the most desirable reference 6264 to appear on the market. 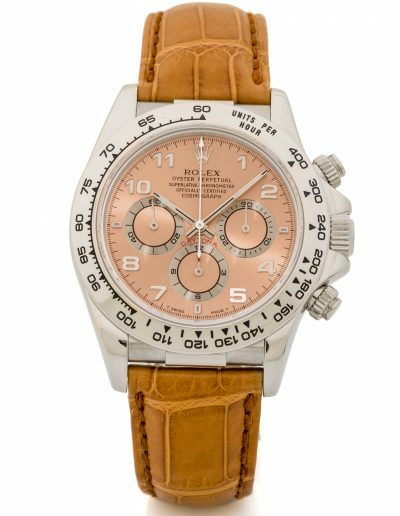 ROLEX, DAYTONA, UAE DESERT EAGLE, REF. 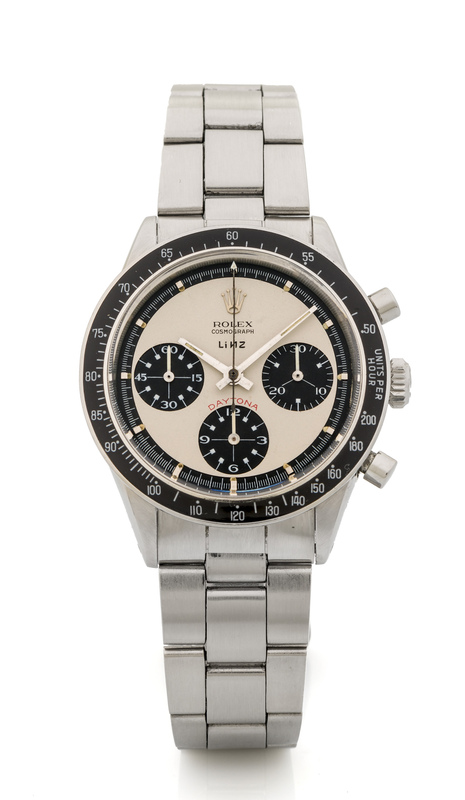 6263 A fine and extremely rare, manual wind stainless steel chronograph wristwatch made for the UAE. Often purchased through Asprey to be later delivered to dignitaries or friends, the Rolex made for the middle Eastern market are amongst the most collectible today due to their distinctive look and rarity. 2 versions were made for the UAE, both featuring the eagle with the signature of the King Mohammed bin Rashid Al Makhtoum and above the hour counter the signature of Wazarah Ad Dif’a department such as this one. Kept in immaculate condition and never offered on the market before, it is one of the most desirable manual wind Daytonas. ROLEX REF. 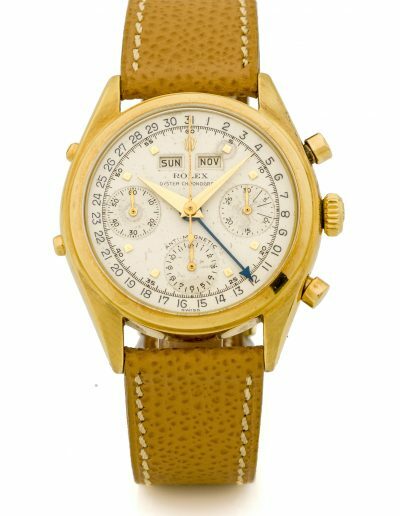 6036 J EAN CLAUDE KILLY YELLOW GOLD Very fine and extremely rare, water-resistant, anti-magnetic, 18K yellow gold wristwatch with round button chronograph, registers, triple date calendar. 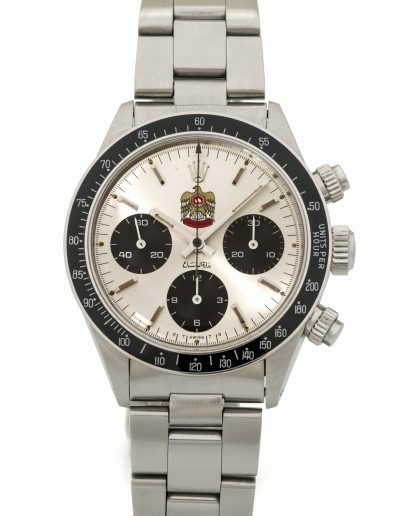 ROLEX DAYTONA REF. 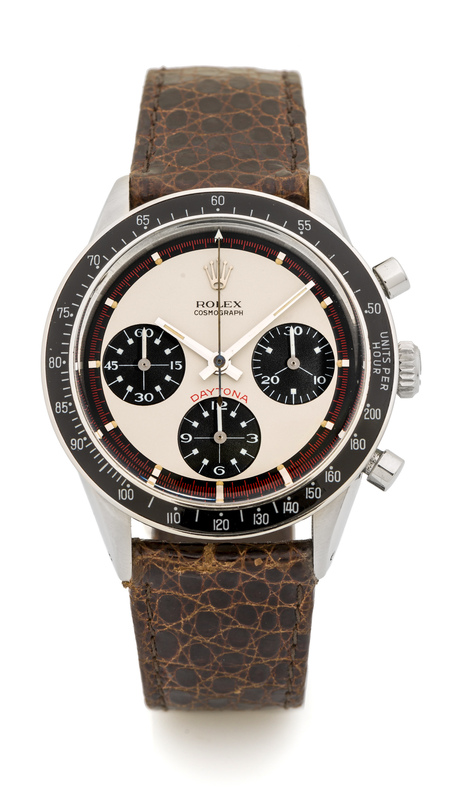 6241 PAUL NEWMAN STEEL A very fine and rare manual-winding stainless steel wristwatch with chronograph. 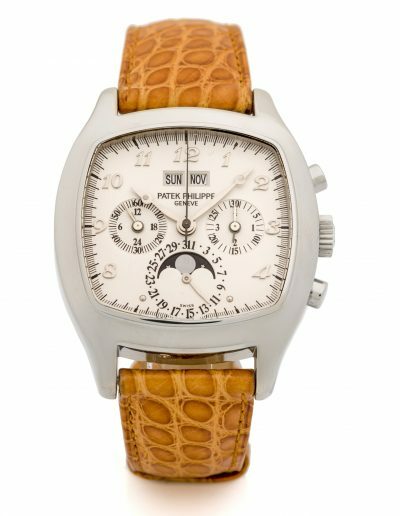 PATEK PHILIPPE PERPETUAL CALENDAR CHRONOGRAPH “TV WATCH” A fine and extremly rare, manual winding 18k white gold tonneau shaped perpetual calendar chronograph with day, date, month, moon phase and leap year. Ref. 5020 The so-called “TV Watch” (1995-2001) Reference 5020 is fitted with Caliber 27-70 Q, like the famous Ref 3970. Due to its unusual shape and its similarity with the more traditional 3970, it was not produced in large numbers. Ref. 5020 was available in yellow, pink, and white gold, as well as platinum. Scholars seem to agree that about 220 pieces were made before being discontinued , 200 in yellow, white and pink and 20 in platinum. A great opportunity to purchase a complete white gold 5020, with only a few having ever appeared at auction. 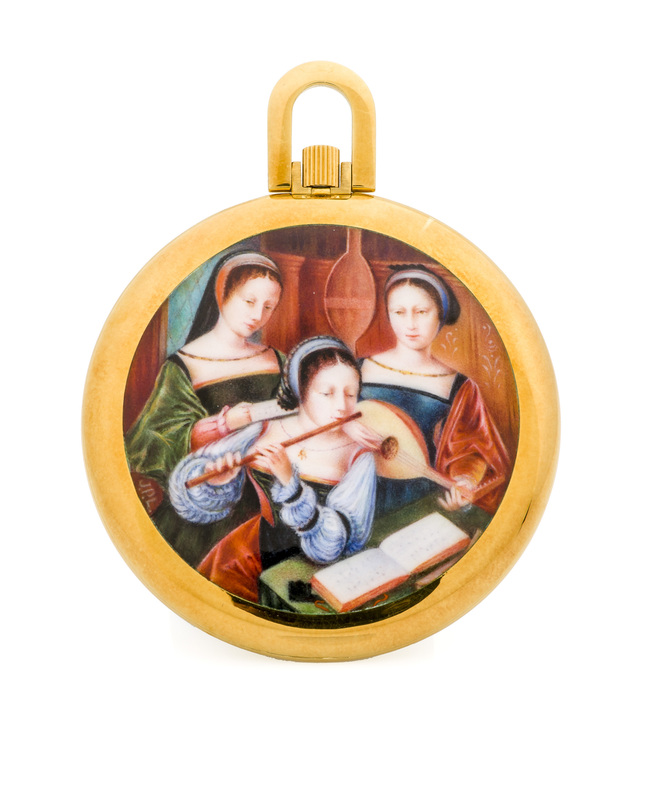 PATEK PHILIPPE, THE MUSICIANS, CLOISONNE ENAMEL POCKET WATCH A fine and extremely rare, 18k yellow gold and enamel pocket watch. Property of a German family. 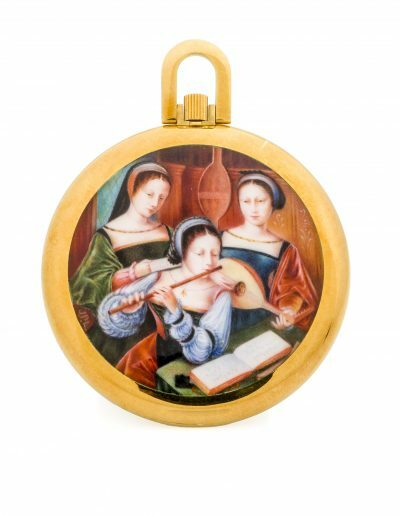 Just like all other cloisonné enamel pocket watches by Patek Philippe of the time, each one was crafted with the greatest skill and love as unique pieces. This particular example was acquired new by the family of the original owner along with other enamel pocket and wristwatches by Patek Philippe. This particular portrait was painted by MrsPellarin-Leroy (J.P.L.) and along side Mrs Suzanne Rohr, both completed their studies at the “Ecole des Arts Decoratifs” in Geneva before becoming master enamelers at Patek Philippe. This particular scene “Three Musicians” is attributed to the “Master of the Female half-lengths” which was an artist or a group of painters active in Flanders in the XVIth century. Kept in a safe since its purchase it has remained untouched and in as new condition. THE MAGNIFICENT CHINESE PEONY FLOWER Swiss, Geneva. Magnificent and exceptionally rare, very large,18K gold, painted and champlevé enamel, pearl-set, “quarters striking. Movement in blued and polished steel with matte gilt plate, standing barrel, cylinder escapement. The incredible realism and DEPTH of the painted on enamel flower show that it is certainly by one of the best Genevan enamel painters, evidently the same one that decorated the case of an almost identical watch sold as part of the Albert Odmark Collection, Christie’s London, March 11, 2005 and another sold by Antiquorum, Geneva, May 15th, 2005, lot 204. A watch decorated with a peony flower and sold by Antiquorum, Geneva on 18th April 1998, Lot 51, also belongs to this series. 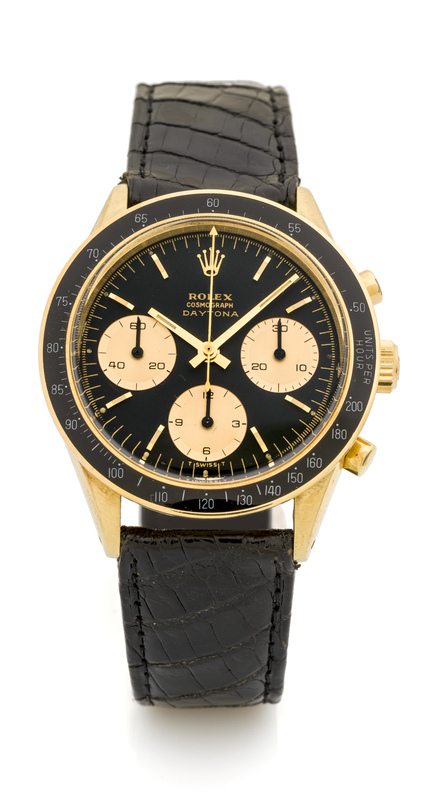 Further such watches were sold by Antiquorum on November 13-14, 2004, lot 48, April 21, 1996, lot 267 (almost identical to the one sold in 2004) and Another example in the form of a pink rose sold at Sotheby’s, Masterpieces from the Time Museum, December 2, 1999, Lot 26. 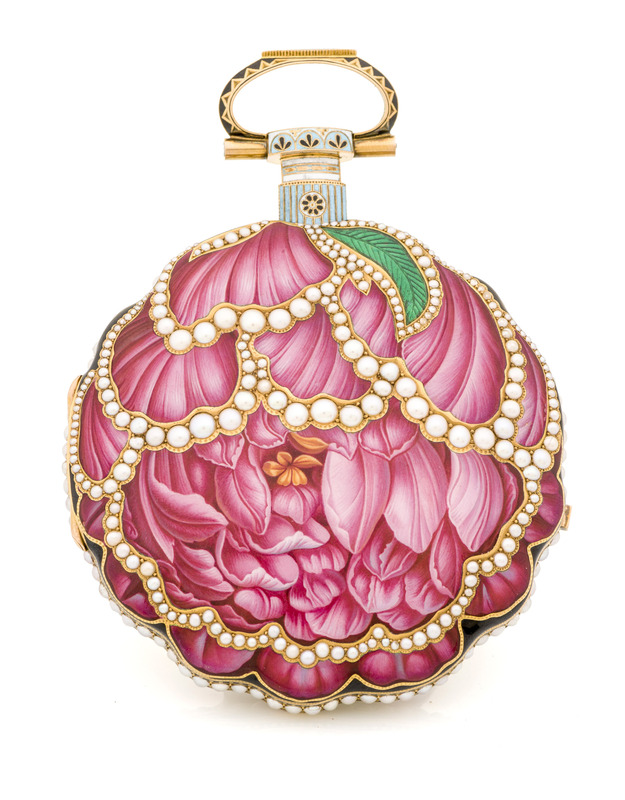 The enamel flower extends to the very edges of the case with the effect of allowing the full beauty of the flower to be appreciated as a work of art. The artist was clearly an experienced painter of botanical specimens because the watch is decorated as a true representation of the flower it depicts – a spectacular example of the art of enameling The peony flowers have great symbolic importance for the Chinese. By their form, aspect, and fragrance, they are considered to be highly spiritual, reflecting the profound nature of the Chinese people. Poems and proverbs show the importance of flowers in the culture: “There is no flower without beauty in the world”; “A flower gives us a glimpse of paradise”. Flower motifs are often used in art objects and objects of value. Certain flowers have a particular importance. The lotus symbolizes purity, the chrysanthemum perseverance, the plum blossom integrity, etc. The importance of flowers is so great that a country’s destiny can become linked to that of a flower. The peony, with its generous forms, brilliant colors, and heady fragrance, thus became the most important flower for the Chinese. It is considered to symbolize wealth, nobility, power, and happiness. Known as the “queen of flowers” or the flower of riches and honor, the peony symbolizes wealth and distinction. Paintings of peonies are often hung in Chinese homes for good luck and in offices to bring success in business. The complimentary of opposites is another traditional Chinese theme associated with the peony, which is thought to be a positive influence for woman and man living harmoniously together. The Chinese peony is also an emblem of love and a symbol of feminine beauty. In the ancient Chinese “Book of Odes”, amorous youths and maidens give each other peonies. White peonies traditionally symbolize young girls who are distinguished mainly by their wit but also by their beauty. Red has long been regarded as a life-giving color, so red peonies are admired and highly valued. The peony is one of the flowers of the four seasons and corresponds to late spring and early summer. Subtle lines are often employed in Chinese paintings of peonies in order to depict the life force of the plants. The deep and rich symbolism attached to the flower for the Chinese would have made it an ideal subject for expensive watches and those destined for exalted patrons, even for the Emperor himself. The flower’s symbolism would have been immediately recognized and appreciated by China’s elite, who would have seen in it a flattering reference to their own wealth and power. ROLEX, REF. 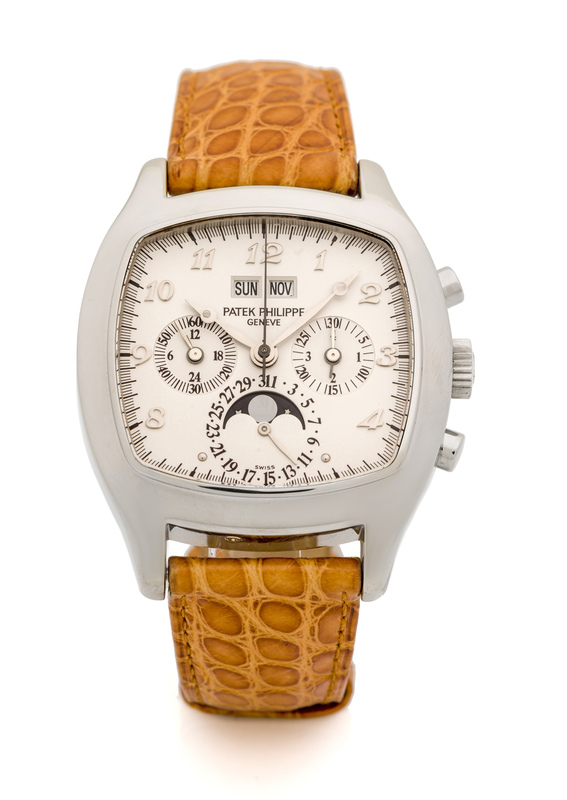 16519, salmon dial, white gold An extremely fine and very rare, self-winding, 18k white gold chronograph wristwatch. 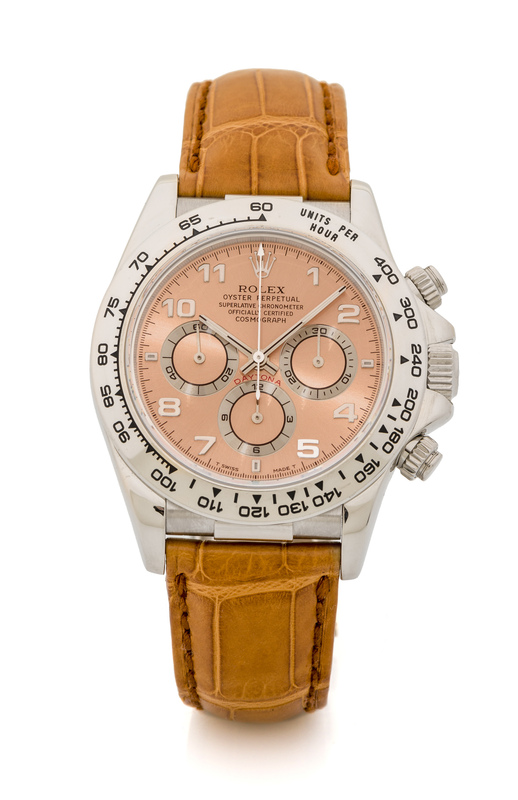 Produced in 1998, this white gold 16519 features a unique salmon/pink coloured dial. While scholars are still debating its origins, some say it was an extremely limited version made for VIP clients, others say it was a study before being replaced by mother of pearl dials for the production version. Its beauty and allure are incontestable, the contrast of the white gold case and warm pink dial make for striking color combination that will delight the most discerning Rolex collectors. According to our research it is the first time this version of Daytona has appeared at auction and is an opportunity not to be missed in the ever increasing collectability of modern Daytonas. 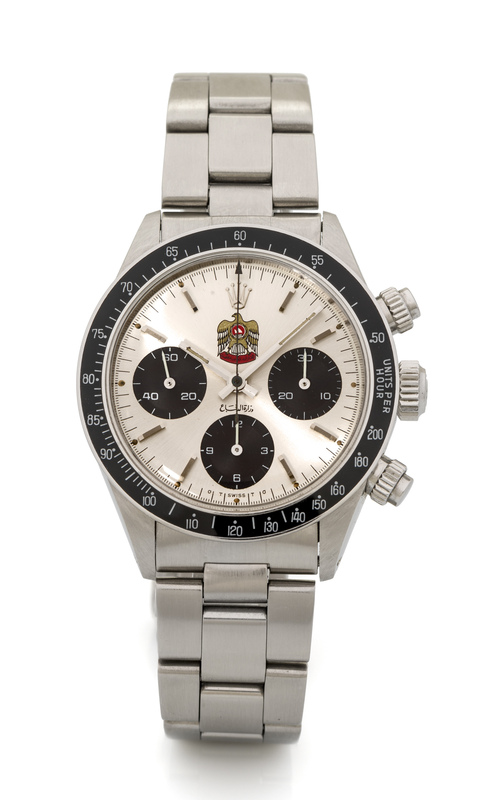 ROLEX DAYTONA REF. 6241 14KT SO CALLED ‘NERO’ DIAL INCORPORATING JUMBO LOGO Very fine and rare, manual winding, 14kt yellow gold wristwatch.